We are backed by a team of skilled experts in providing High Back Chairs With Dining Tables on rent basis to our respected clients across the globe. These rental services offered by us are executed under the guidance of our professionals as per the specifications of our clients. Apart from this, our team of experts uses hard-earned experience to render these services in a systematic manner. We are listed amongst the top firms of the market engaged in offering a large collection of Frill Table on Rent to the clients. These services are cost effective and rendered according to the clients requirements. Apart from this, we offer these services in the well planned manner to the customers. We Provide All Types Of Branded Rental Furniture In All Over Gurgaon, Delhi, Noida, Faridabad. Brand New Furniture Only.Minimum Duration 3 Months, No Logistics, Free Maintenence, Free Home Delivery1. Beds2. Fridge3. LED4. Study Table5. Centre Table6. Sofaset7. Dining Table8. Office Table9. Chairs10. Coffee Table11. Microwave12. Top bed size of 2.5 x 6 feet, without mattress [ but can be supplied with additionl charges] , Table of size 2x3.5 feet and shelf of 2x2.5 feet. We ensure advanced range of Table And Chairs Rental Services to various corporate, commercial and other business clients. These are largely sued in occasional and functional retirements. We ensure strong, secure, reliable and well maintained products which are safely delivered to various regions of the nation at the most economical market price range. 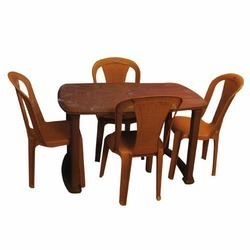 We offer a wide range of furniture like Wooden Dining Table Sets. Our dining table sets are manufactured using premium quality woods. These dining table sets are available in attractive shapes and colors to fulfill the varied demands of the clients. These dining table sets are appreciated for the notable features like superior design, smooth surface and high termite resistance. We offer our clients a wide range of furniture on hire. These furnitures are beautiful and of good quality. 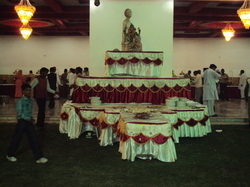 They give a mesmerizing appeal to guests and help the clients in captivating the attention of the guests. Our furniture offered include chairs, tables, and the like that we offer as per the requirement of clients. We offer minimal rental charges for our furnitures.